A eureka moment for Nuclear Medicine occurred on November 12, 1936, when Dr. Saul Hertz [Figure 1] spontaneously asked Karl Compton, the President of the Massachusetts Institute of Technology (MIT), “Could iodine be made radioactive artificially?” Dr. Hertz solely conceived of the question bringing together the work conducted in 1896 by E. Bauman, who discovered that iodine was taken up by the thyroid and the 1935 Nobel Prize-winning work of Pierre and Marie Joliot-Curie, for their creation of artificial radioactive elements. Initial funding was acquired from Harvard Medical School and a young physicist, Dr. Arthur Roberts, was hired to work at MIT. MIT physicist, Dr. Roberts, created noncyclotron I-128 based on the work of Enrico Fermi. Hertz and Roberts designed an animal study of 48 rabbits. The noncyclotron 1-128 was administered to rabbits with altered thyroid gland function. Hertz and Roberts' qualitative analysis showed that hyperplastic glands retained more radioactive iodine (RAI) than normal glands [Figure 2]. These studies demonstrated the principle that tracer amounts of RAI could be used to investigate thyroid gland physiology. Hertz and Roberts wrote the paper and it was accepted for publication. When it was at the publishers, MIT's Robley Evans dictated a letter for Dr. Hertz to sign that his name, Evans, should be included. It was a condition of Arthur Roberts employment that the director of the laboratory, Evans, should be included on any papers that would be presented. It is to be noted that Hertz and Roberts designed the research, executed the work, analyzed the data, and wrote the paper. At the onset of the animal studies, experiments in 1937, Dr. Hertz thought that there would be equally promising therapeutic possibilities in the treatment of cancer of the thyroid with RAI. Mayo Soley, a MGH colleague of Dr. Hertz, wrote to Hertz congratulating him on his RAI work. Dr. Soley was then at the University of California Berkeley (UCB), where Ernest Lawrence had built a cyclotron. Work was done at UCB that confirmed the Hertz/Roberts animal study findings. UCB's Glenn Seaborg and John Livingood developed cyclotron produced RAI. A total of $30,000 was funded by New York City's Markle Foundation to build a cyclotron at MIT to produce I-130 and I-131. On March 31, 1941, Dr. Hertz administered MIT cyclotron produced RAI to Elizabeth D. at the MGH. This was the first therapeutic use to of RAI. Dr. Saul Hertz was the first and the foremost to develop the experimental data on RAI and apply it in the clinical setting with the first clinical trial leading to a series of 29 patients. In 1942, Hertz conducted and reported to the Markle Foundation his limited clinical trials of RAI to treat thyroid carcinoma. In 1943, this work was interrupted as Dr. Saul Hertz was commissioned into the United States Navy to serve his country during World War II. 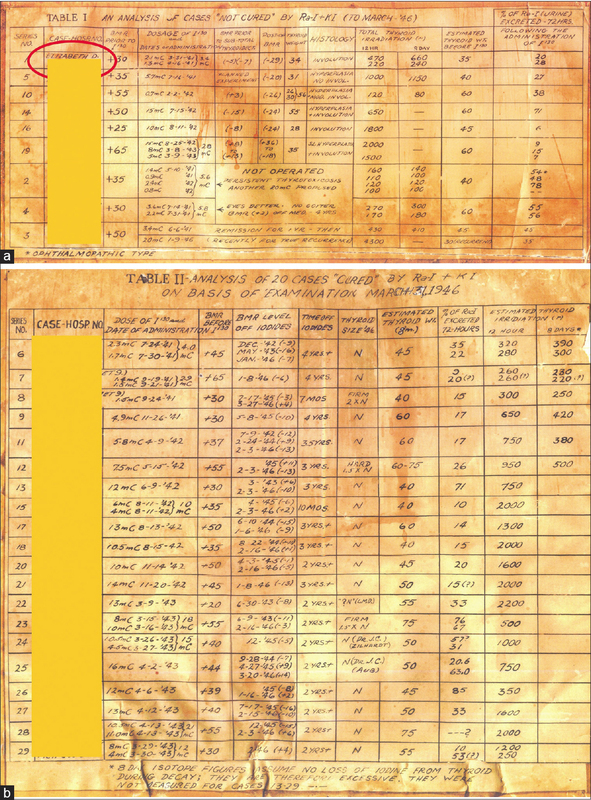 In May 11, 1946, two articles appeared side by side in the JAMA both from the same institutions [Figure 3]. One article authored by Hertz and Roberts and the other from Chapman and Evans demonstrated the successful use of RAI in the treatment of Graves' Disease (hyperthyroidism). In the spring of 1946, Saul Hertz joined the staff of Boston's Beth Israel's Hospital. He is able to gain funding from the Navy, to refine the use of RAI in treating thyroid cancer. The Navy grant also provided for Dr. Hertz to explore with Dr. Herman Blumgart, the use of RAI to disable the thyroid in an effort to treat angina. Dr. Hertz directed his colleagues at Boston's Beth Israel Hospital in the use of RAI to diagnose and treat thyroid carcinoma successfully. Essential was the development and use of the multiscaler. Dr. Hertz designed and helped to create, the multiscaler at MIT where Dr. Hertz was teaching [Figure 4]. The multiscaler provided uptake testing so that dosimetry could be utilized to determine the appropriate amount of RAI for each patient. In September 1946, with Hertz family money, the Radioisotope Research Institute with facilities in Boston and New York City was registered. The institute with clinical and laboratory facilities was devoted to the application of nuclear physics to medical investigation, diagnosis, and treatment. Hertz reached out to Dr. Samuel Seidlin of New York's Montefiore Hospital to be the associate director. By happenstance, Dr. Seidlin explored the use of RAI to treat carcinoma, when a ward patient known as BB appeared some years after his thyroid had been surgically removed. Dr. Seidlin consulted with Dr. Hertz and BB was treated with RAI. No new lesions appeared and some almost completely disappeared. Dr. Seidlin's patient BB died in 1952 form anaplastic carcinoma. Dr. Hertz advocated to the Atomic Energy Commission, for the distribution of RAI off of the atomic pile. He was closely involved in setting government regulations. Nuclear medicine had come of age. 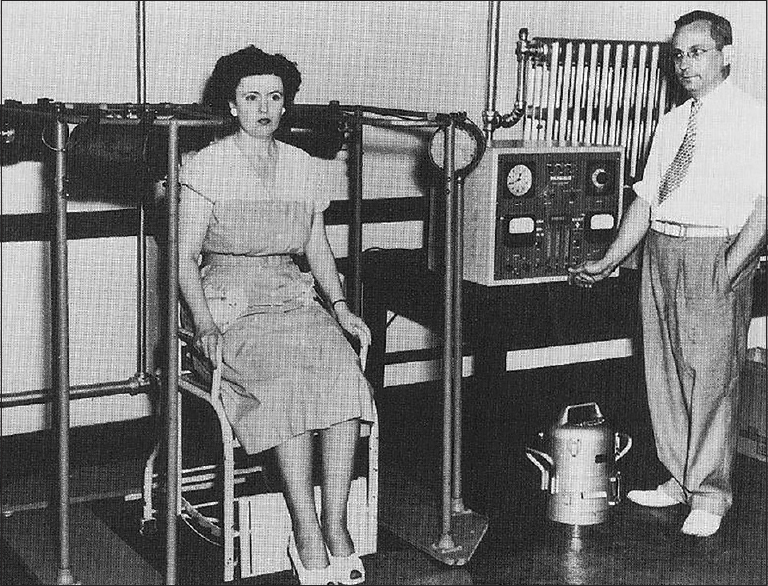 In 1949, Dr. Hertz established the first Nuclear Medicine Department at the Massachusetts's Women's Hospital. 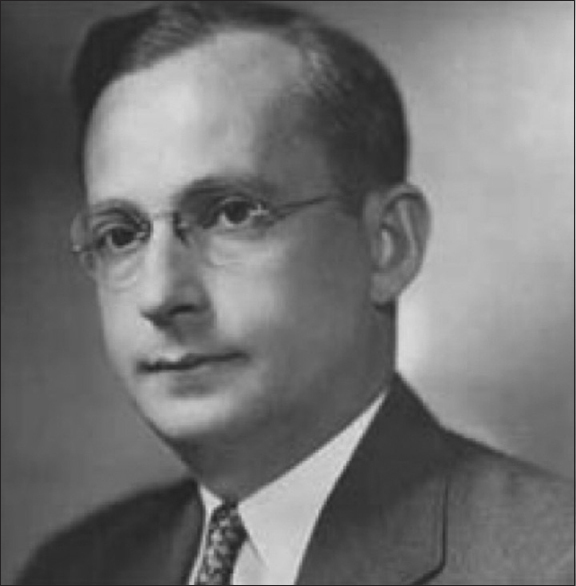 At the time of his passing in July of 1950, from a sudden death heart attack, Dr. Hertz had expanded his research to other areas of cancer research using radionuclides. Saul Hertz's legacy is profound and enduring., His work established the cornerstone of nuclear medicine. The collaboration developed between Boston's MGH and the MIT converged the sciences in the quest to conquer cancer. Precision medicine has its roots in Dr. Hertz's use of dosimetry. Utilization of RAI to trace the functioning of an organ as well as to treat disease is the first therangnostic. Dr. Hertz's teaching at Harvard Medical School and at MIT planted the seed of combined MD-PhD programs. Dr. Hertz with his physicist colleague, Dr. Roberts' use of dosimetry, is being investigated to personalize treatments. Precision medicine has expanded into the area of radioimmunotherapy. The use of the sodium/Iodide symporter in the treatment of cancer holds promise. This key plasma membrane transporter that mediates active iodine in the thyroid is being used to make other tumors take up the I-131 like those of thyroid cancer cells. Dr. Hertz overcame many challenges to bring his work to fruition. Let us be grateful to the patients who take a leap of faith to participate in clinical trials, to all the professionals and their support staffs, to the nuclear medicine industries, training, research and hospital centers worldwide, as well as to the professional organizations who propel Saul Hertz's dream forward. Hertz S, Roberts A. Radioactive iodine in the study of thyroid physiology. VII The use of radioactive iodine therapy in hyperthyroidism. J Am Med Assoc 1946;131:81-6. Hertz S. A plan for analysis of the biologic factors involved in experimental carcinogenesis of the thyroid by means of radioactive isotopes. Bull New Engl Med Cent 1946;8:220-4. Thrall J. 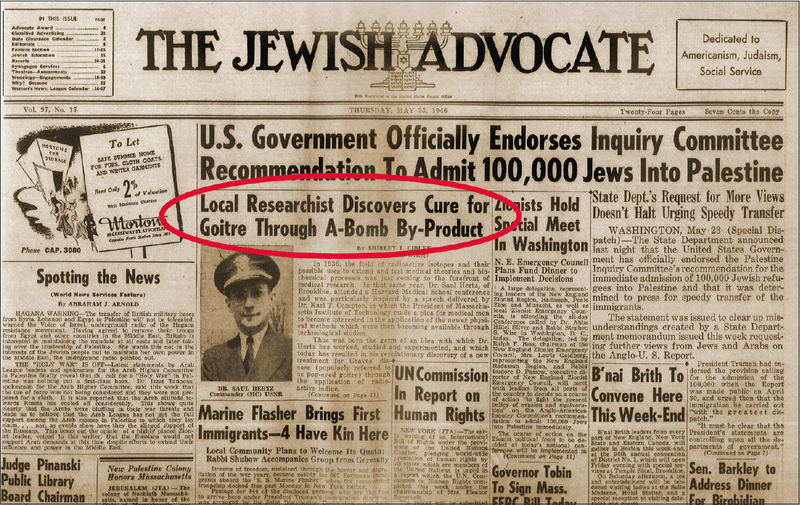 The Story of Saul Hertz, Radioiodine and the Origins of Nuclear Medicine. Available from: http://www.youtube.com/watch?v=34Qhm8CeMuc. [Last accessed on 2018 Dec 01]. Braverman L. 131 Iodine Therapy: A Brief History. Available from: http://www.am2016.aace.com/presentations/friday/F12/hertz_braverman.pdf. [Last accessed on 2018 Dec 01]. Hofman MS, Violet J, Hicks RJ, Ferdinandus J, Thang SP, Akhurst T, et al. [177Lu]-PSMA-617 radionuclide treatment in patients with metastatic castration-resistant prostate cancer (LuPSMA trial): A single-centre, single-arm, phase 2 study. Lancet Oncol 2018;19:825-33. Krolicki L, Morgenstern A, Kunikowska J, Koiziar H, Krolicki B, Jackaniski M, et al. Glioma Tumors Grade II/III-Local Alpha Emitters Targeted Therapy with 213 Bi-DOTA-Substance P, Endocrine Abstracts. Vol. 57. Society of Nuclear Medicine and Molecular Imaging; 2016. p. 632. Baum RP, Kulkarni HP. Duo PRRT of neuroendocrine tumours using concurrent and sequential administration of Y-90- and Lu-177-labeled somatostatin analogues. In: Hubalewska-Dydejczyk A, Signore A, de Jong M, Dierckx RA, Buscombe J, Van de Wiel CJ, editors. Somatostatin Analogues from Research to Clinical Practice. New York: Wiley; 2015.